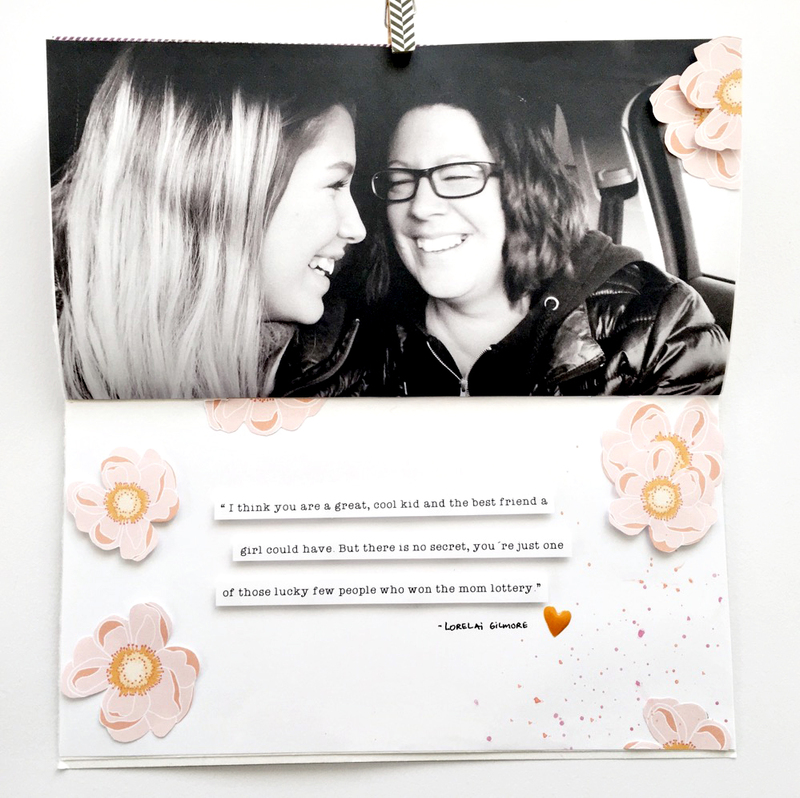 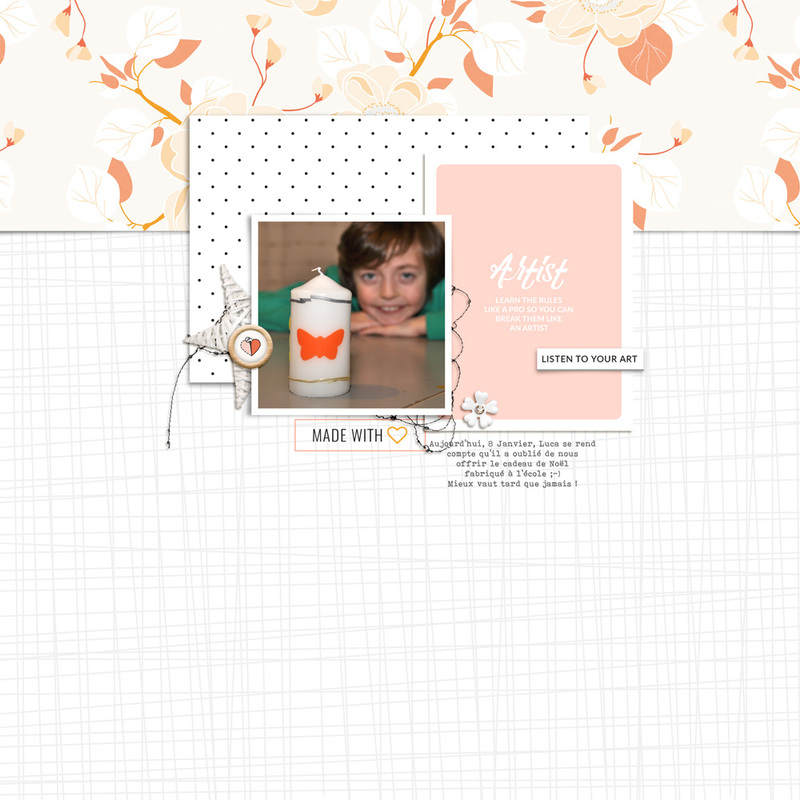 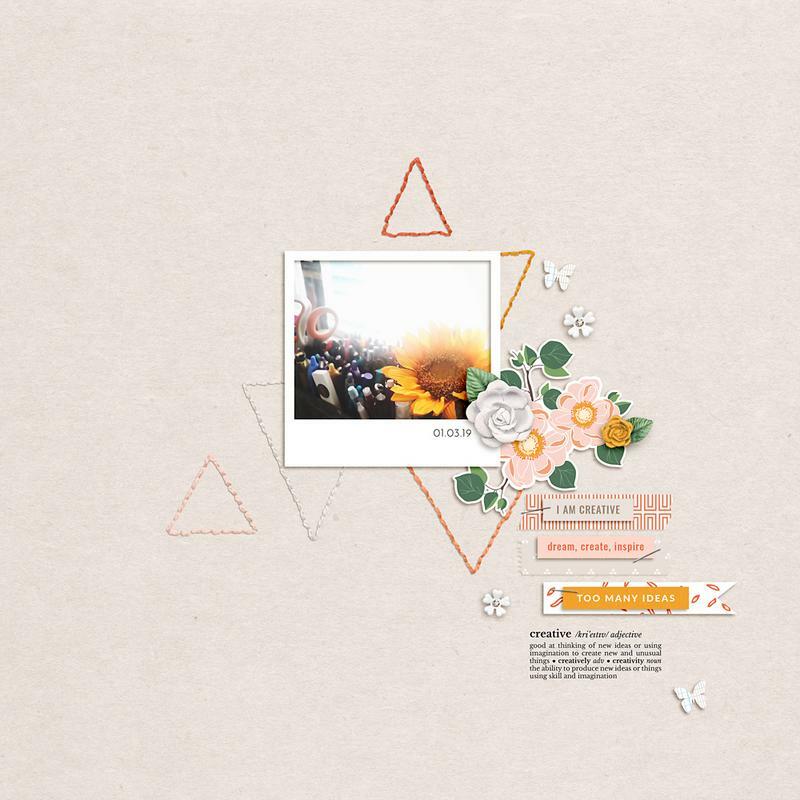 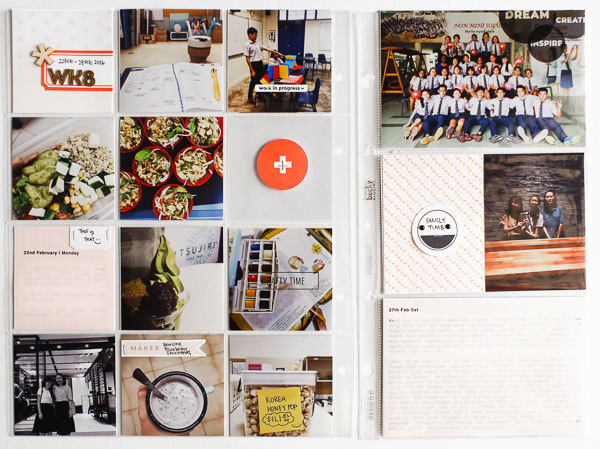 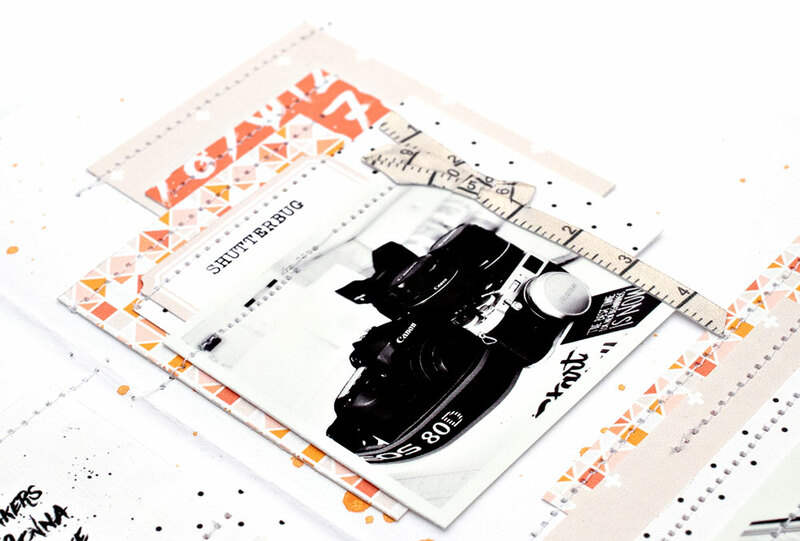 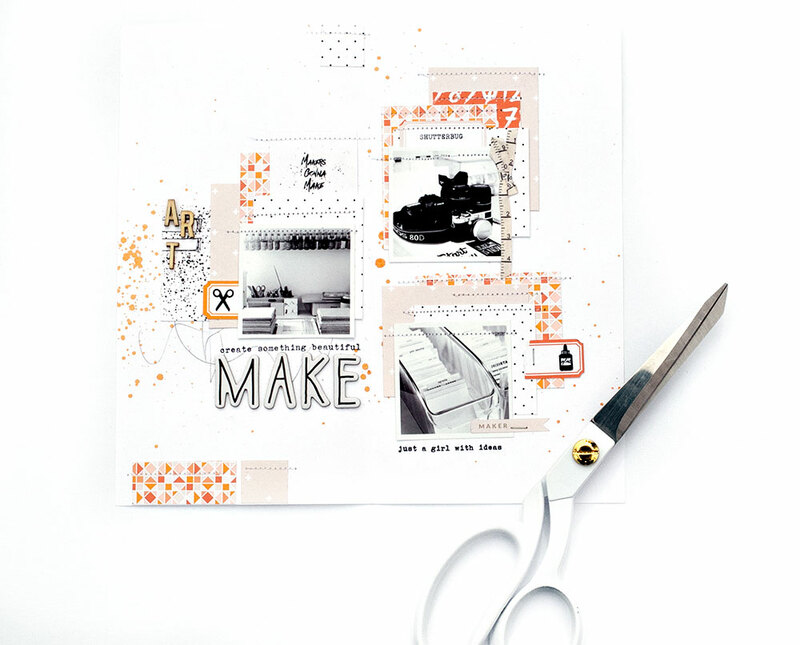 Crafty Fingers is a digital scrapbook collection to document your creative moments of you and your family. 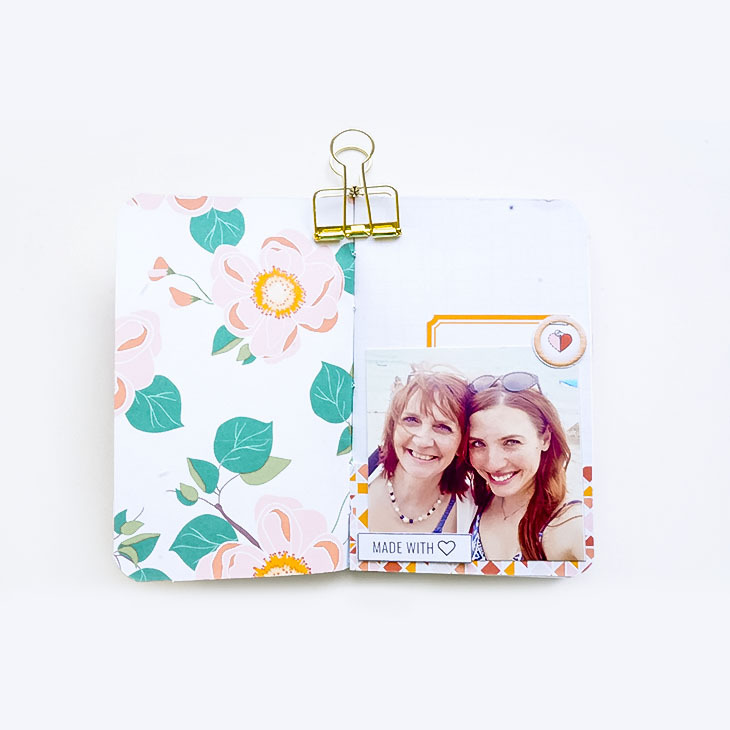 Soft colors, minimal pattern design, and a touch of crafted embellishments will reflect your crafty memories in a colorful way. 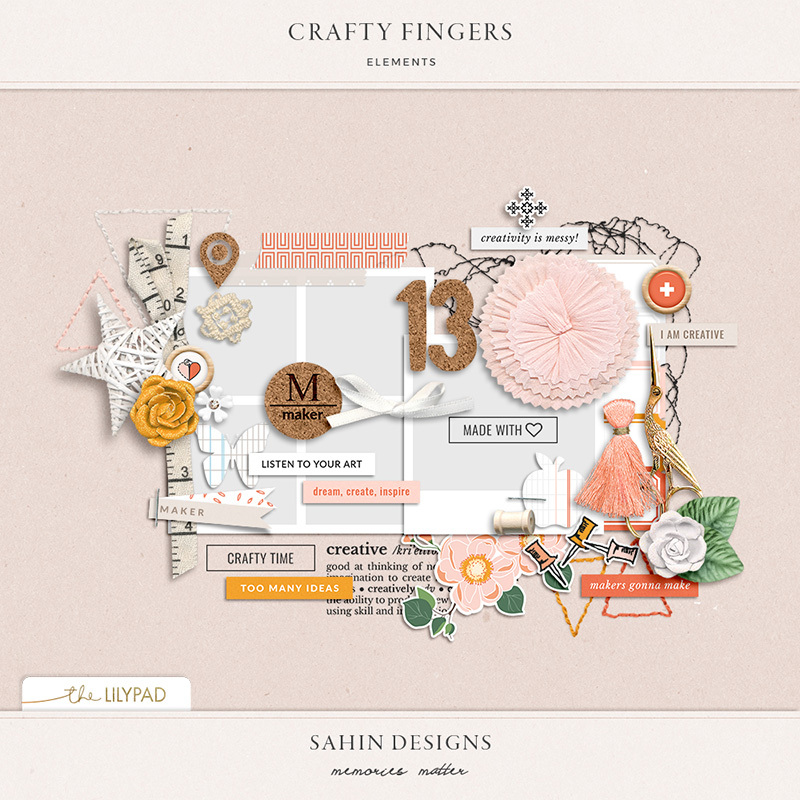 Shop Crafty Fingers Elements by clicking "Add to Cart" button and start documenting your unique story today.